This bread is so moist and is a favorite at the farmer’s market. We always sell out of this bread. All of the flavors make you want to have more than one slice! 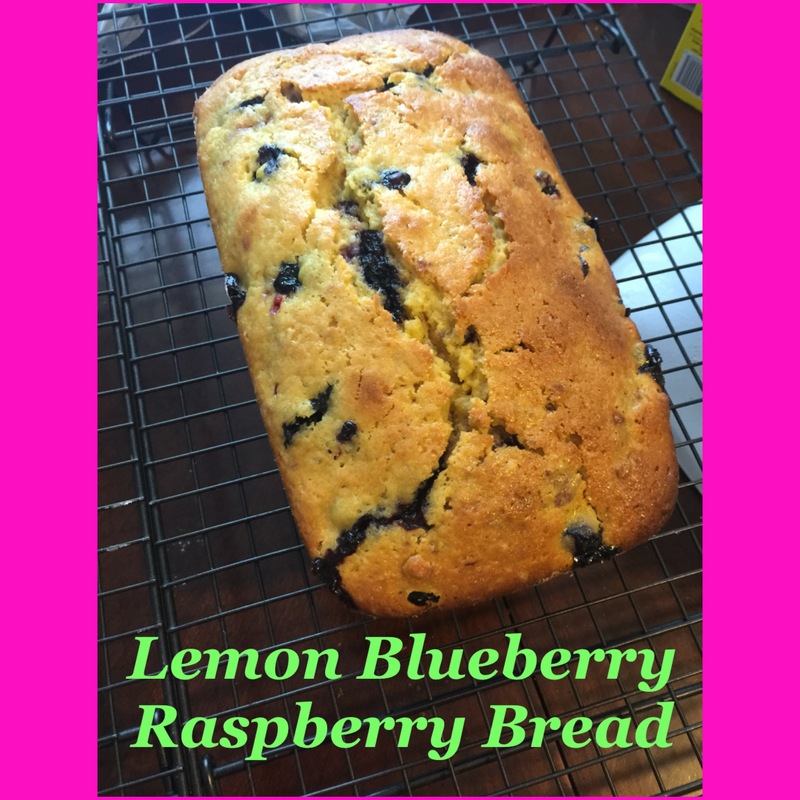 It is super easy to make and fast – that’s why they call them “quick breads”. 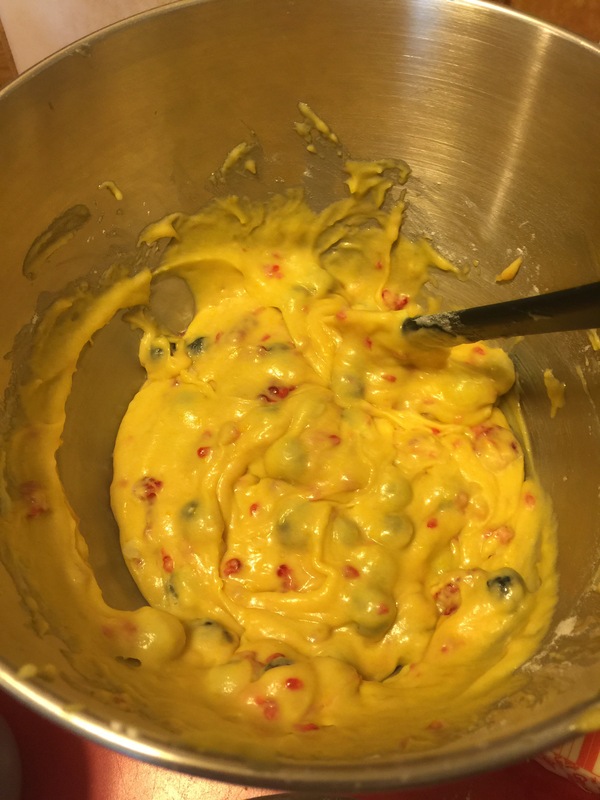 * you can add a little more to make it moist, but not too much to where the loaf won’t form. Preheat oven to 350 degrees. 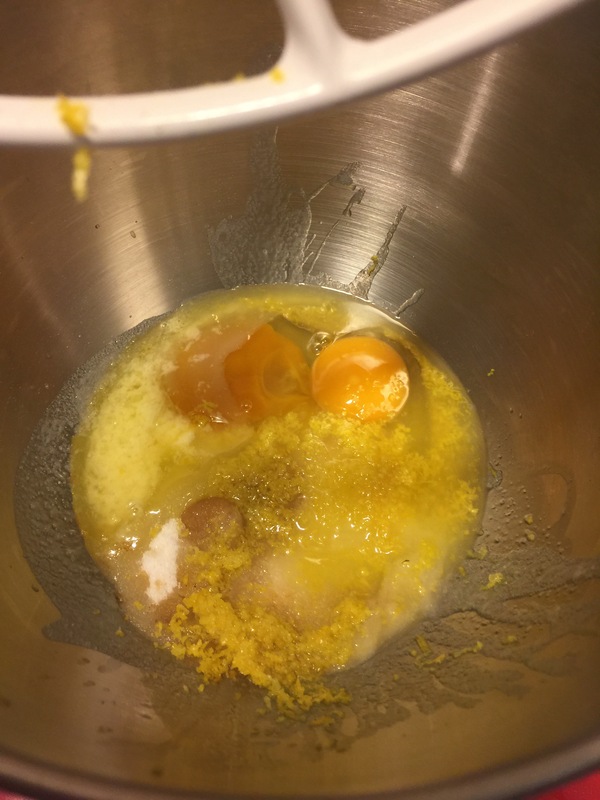 Combine eggs, sugar, vanilla, lemon juice, lemon zest, and melted butter in a mixer with a paddle attachment until combined. 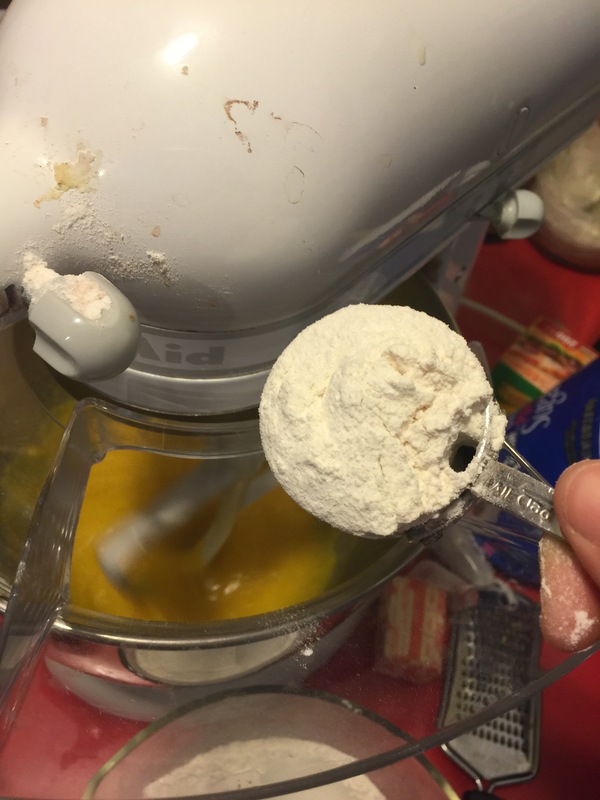 (You can also make it without one) Turn off mixer. 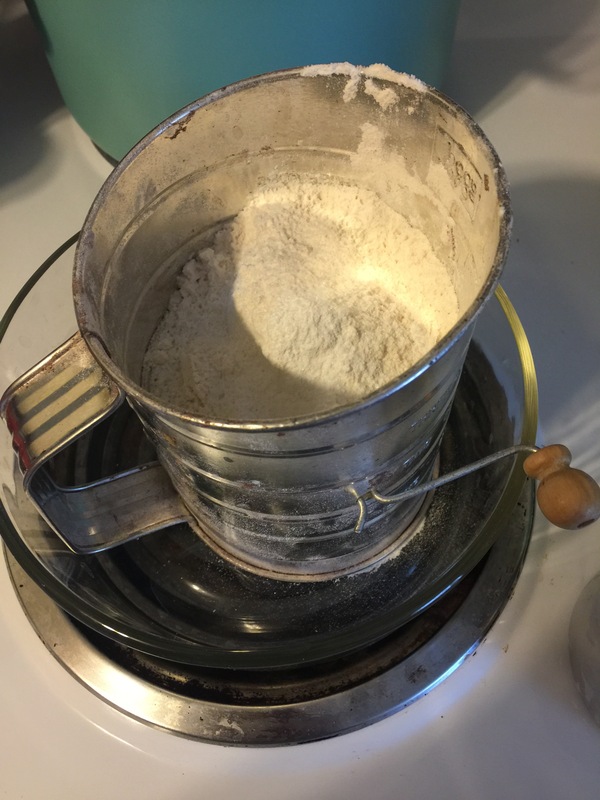 In another bowl, sift together flour, baking powder, and salt. Set aside. 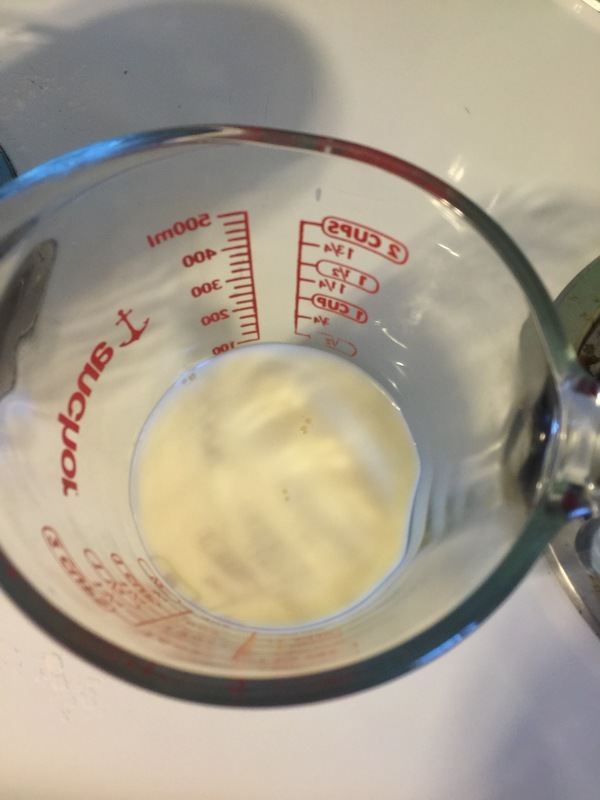 In a liquid measuring cup, measure out milk and then put in the vinegar – let sit until it has a lumpy consistency. 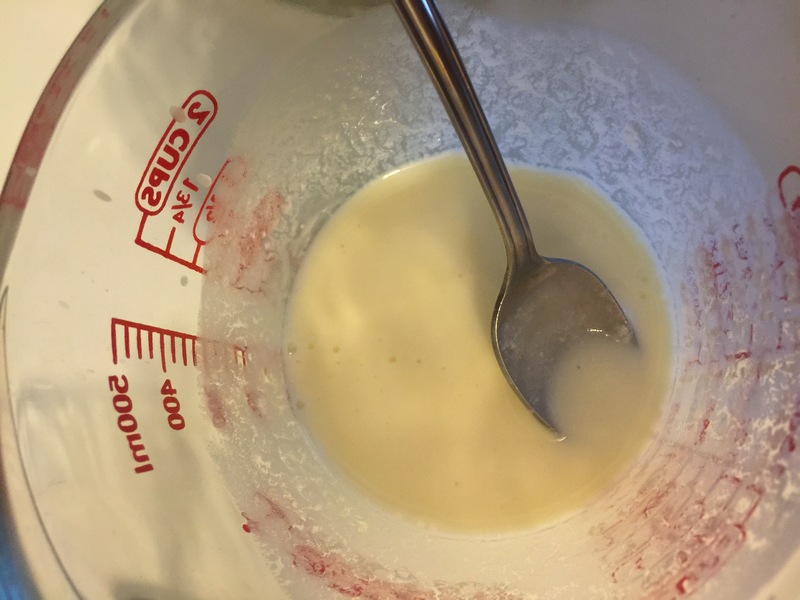 Turn back on mixer and alternate pouring in flour mixture and milk mixture until combined. 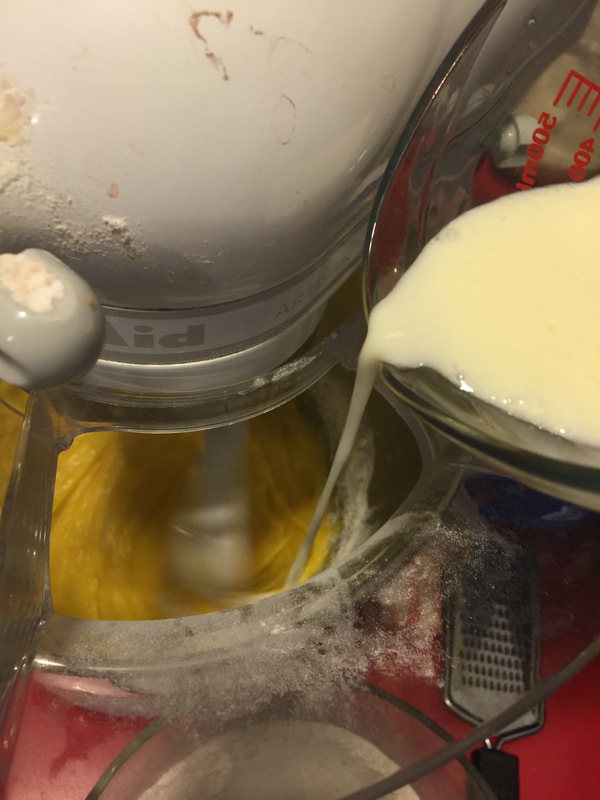 Turn off mixer. 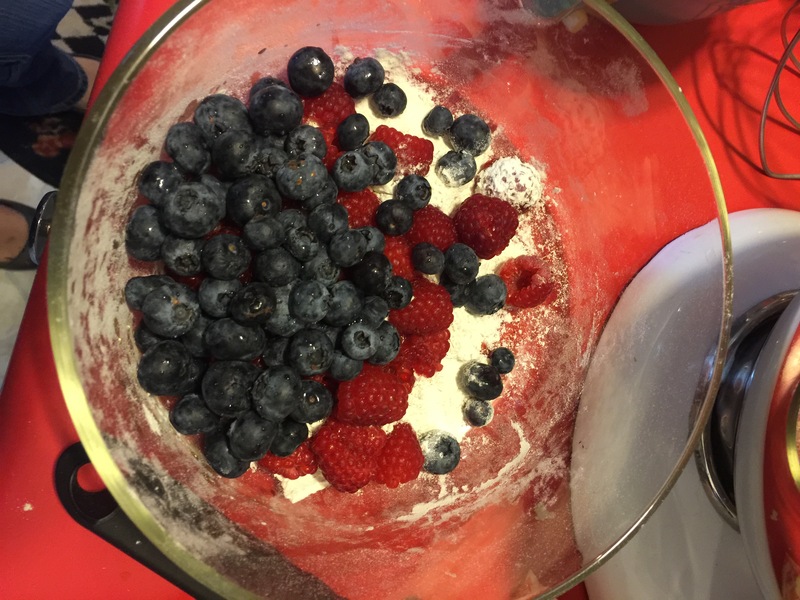 In the old flour bowl, put berries together and add flour to coat. 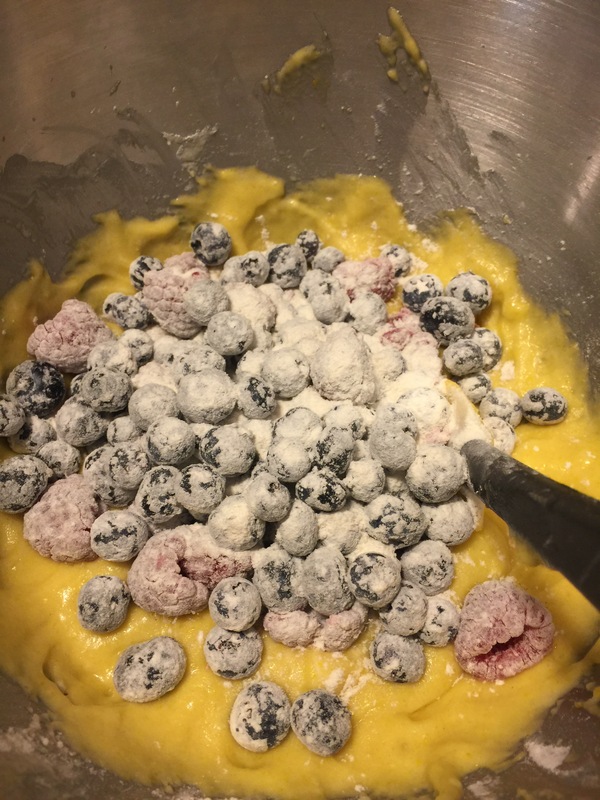 Take bowl off mixer and mix in berries by hand. 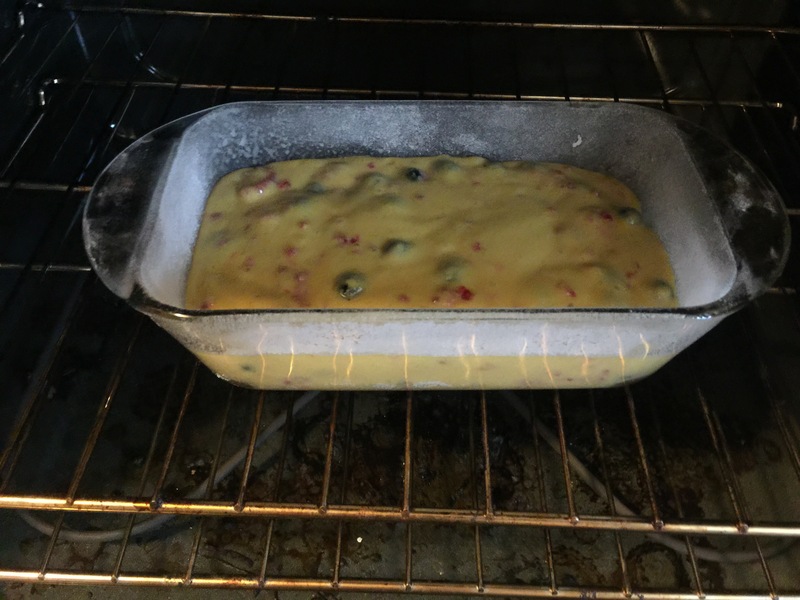 Pour into a greased loaf pan. 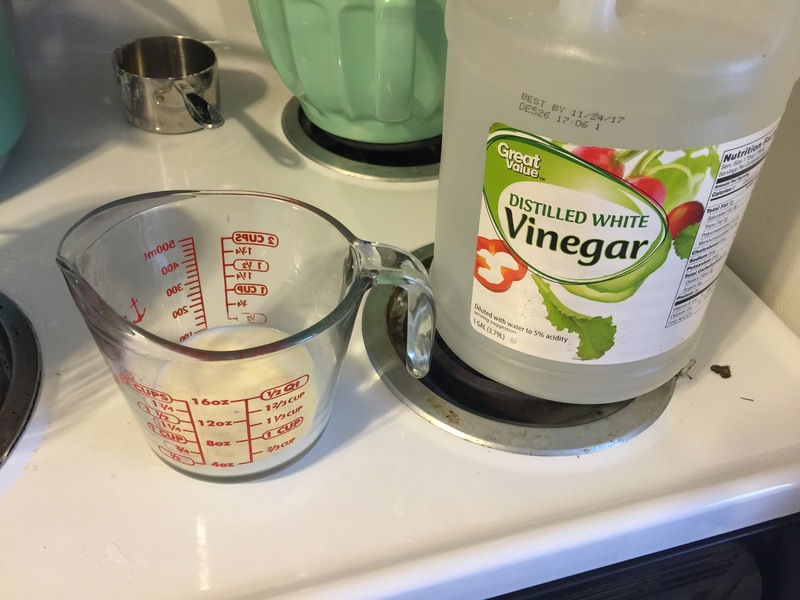 Bake 45-50 minutes or until it doesn’t jiggle when moved and toothpick comes out clean. The top will also become a light brown color. 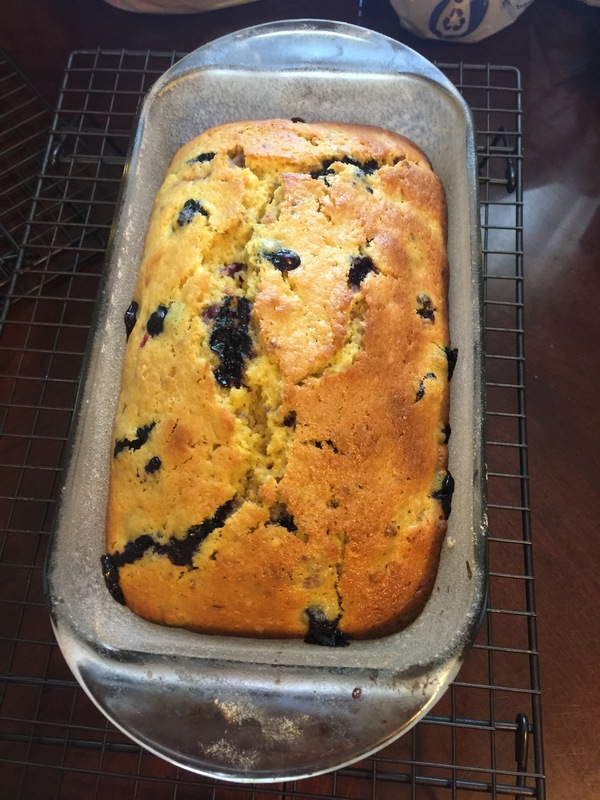 Let cool on baking rack for 15 minutes in the pan and then take out of pan and cool for another 15 minutes or until it is cool enough to cut without it falling apart. 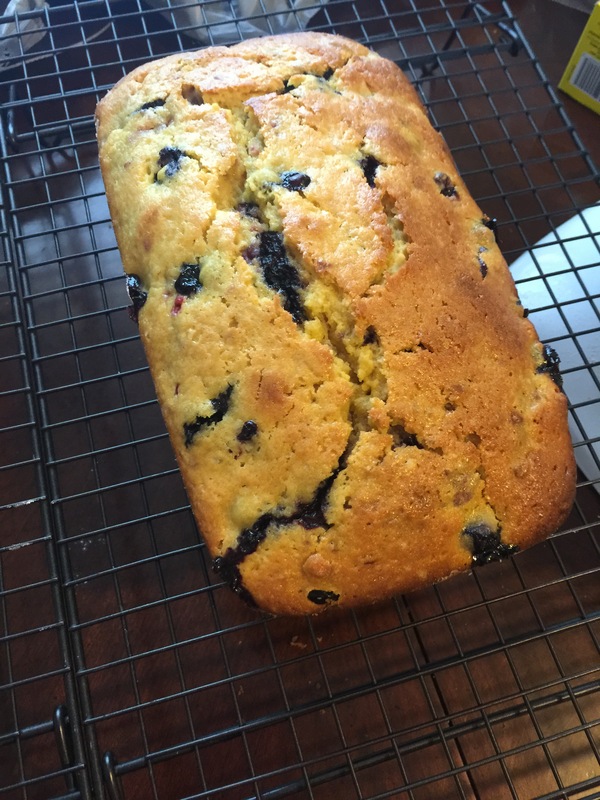 Makes one yummy loaf. 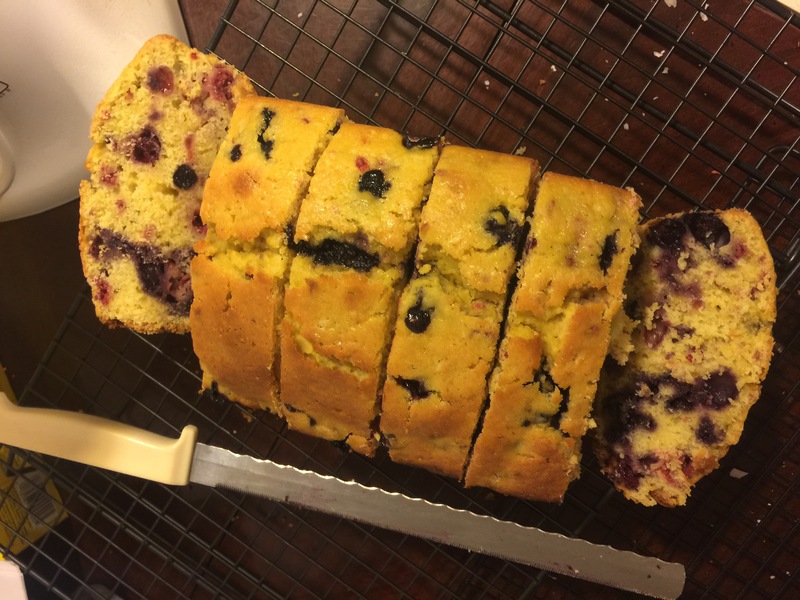 Posted on March 20, 2016 September 26, 2016 by MichellePosted in RecipesTagged blueberry lemon raspberry bread, bread, breads, fruit bread, quick breads.